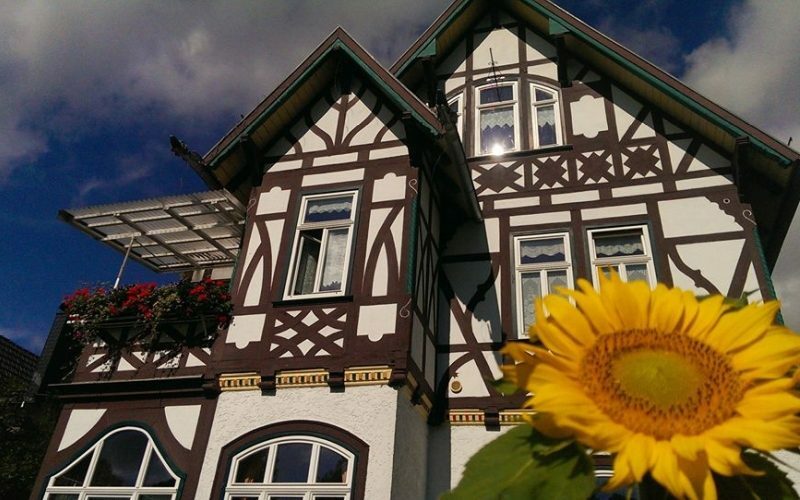 On your search for a cosy hotel in Thuringia you have found our villa? Then please only continue reading when you look for something extraordinary. In our picturesque and historic hotel we do not offer off-the-rack vacations. We do not have a glamorous lobby or plastic tooth mugs or suited up staff. We actually have no staff at all. Because here in the Villa Rossek we do it all personally – from our attentive service to our spotless cleaning up to our homemade marmalades for breakfast. 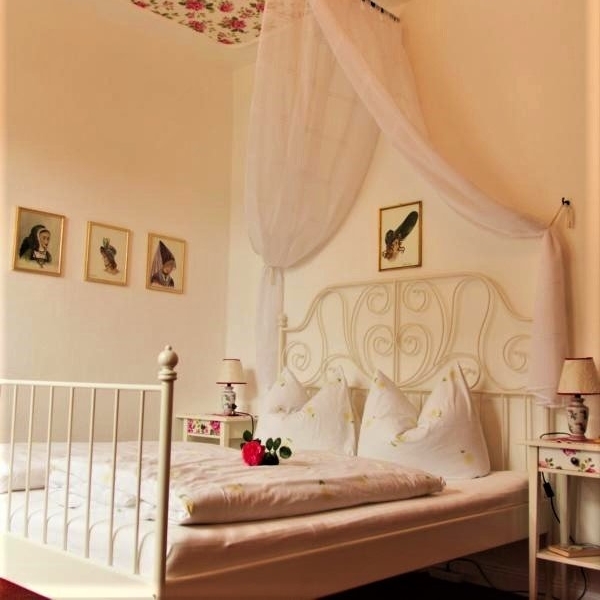 If you choose to stay at our hotel, a homey atmosphere and individually decorated rooms and a lot of comfort in an historic surrounding are waiting for you. 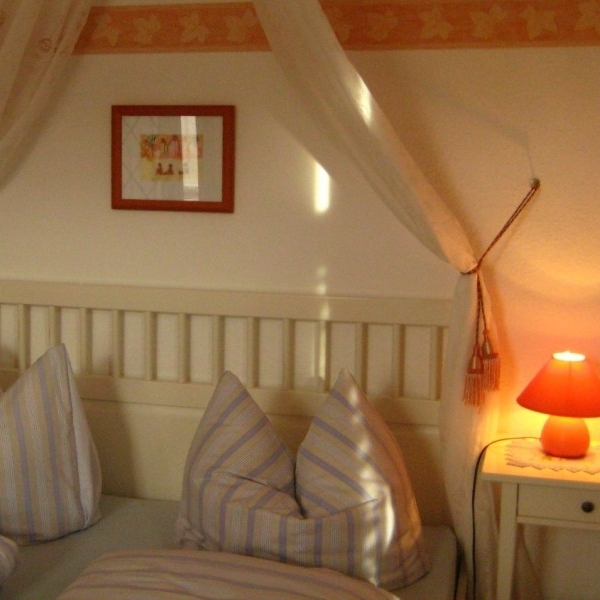 In our house we have 7 rooms – all individually decorated with a detailed eye and a lot of love. 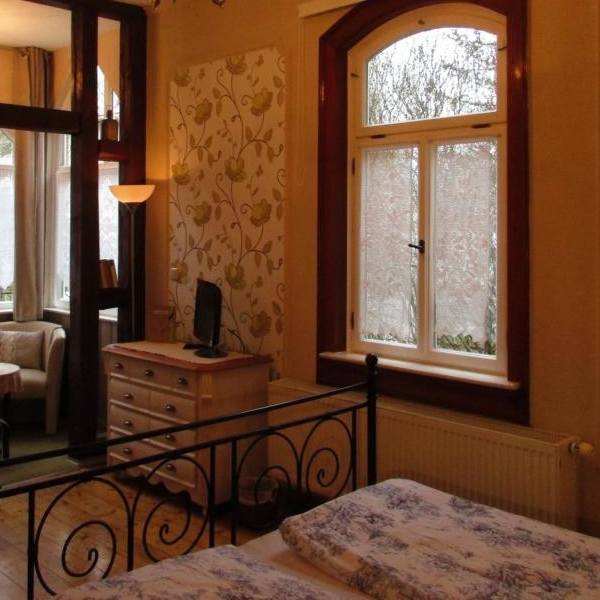 We offer you 6 high-quality furnished double rooms and a single room! 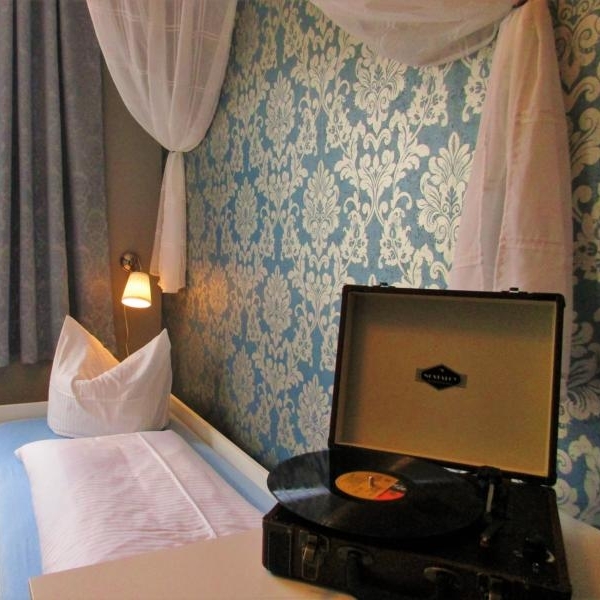 All rooms can be booked as singles for an extra charge. This comfort room is situated on the ground floor and is loved for its classic elegance. The beautiful lamps and elegant fabrics, which we found in Italy, add to this. 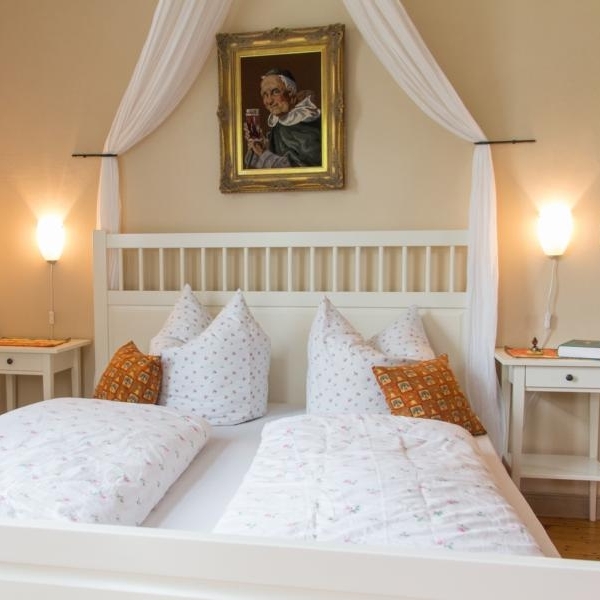 In the Brahms Room you find a canopy bed, a LED-HD TV and cosy lounge armchairs. The bathroom, with its large window overlooking our garden, is young and peppy with cheeky colours and deco elements so that you can start your day fresh and happy. 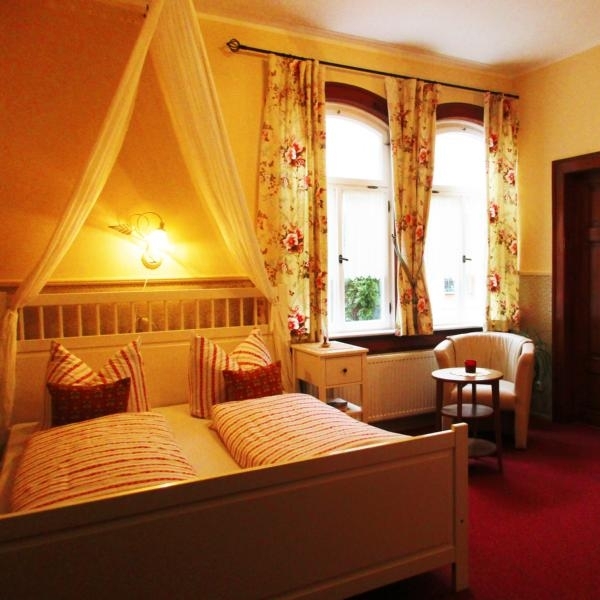 If you love this room as much as we do, you can make a booking inquiry at info@villa-rossek.de. The rooms cost from 40,- € per person per day. This includes our delicious breakfast buffet and our charming service. The spa tax of 1,50 € per person per night is not included.